One of the main contributing factors in the rise in childhood obesity is that children aren’t as active as they should be. 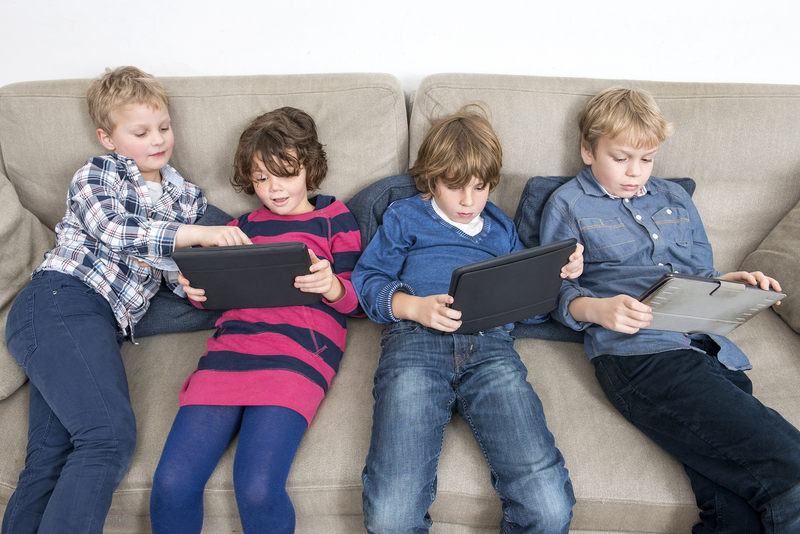 Parents bemoan the fact that their kids spend all of their time indoors, tied to the TV screen or the computer screen. Take a good, long look at the way you live your own life and ask yourself: Am I teaching my kids to be active, or am I teaching them to be lazy? Laziness is a lifestyle, and it’s a habit that you should break for your kids’ sake if not your own, even if your kids aren’t overweight. As a bonus, making these simple changes in your routine could help you to lose weight and feel healthier, too. Going out of your way to park close to the entrance. Are you one of those people who will circle a parking lot for five minutes in order to save yourself from thirty seconds of walking? What message do you think this sends to your kids? Even if it’s hot, cold, or raining, make it a practice to park farther away from the store even when there are lots of open spots close to the door. Every step adds up, and this is a simple habit to get into if you make the conscious effort. When you first make this change, pay attention to how long it takes you to get from your car to the building entrance. Warning: you might feel a little embarrassed that you didn’t start doing this years ago. On a related note, when you leave the grocery store, take the time to return your cart to the cart return area. Don’t leave it in the middle of a parking space or push it up onto the closest curb. This will teach your kids the habit of industriousness, and it will teach them empathy for the people whose cars might be damaged by your wandering cart and for the grocery store employees who have to hunt down those carts. Life is busy for families today, and the temptation to turn to fast food is understandable. However, when you resort to fast food on a regular basis, you do more than just fill your families’ bodies with empty calories. You also teach your children that habit of laziness. You teach them that chores are to be avoided, and it’s okay to take the easy way out. In your heart, you know that the right thing to do is to feed your family a healthy meal. And in truth, you can make healthy choices that don’t take much longer than driving to the fast food restaurant, ordering your food, and eating it. You can cook boneless, skinless chicken breasts in about 20 minutes. Serve them with canned vegetables and whole wheat bread, and you’ll have a much healthier choice than the deep fried chicken nuggets your kids might order at the fast food place. If you’re really pressed for time, you can find fast and healthy options at most grocery stores these days. A whole rotisserie chicken is an inexpensive way to feed the family, and you can serve it with a tray of pre-cut vegetables and dip. Having only one hobby: watching TV. All too often, moms and dads feel too tired to do anything at the end of a long day but watch TV. But again, you must be aware of the message that you send to your children. They absorb everything. Everything you do sends a subtle message to your kids about how the world works and how they should live their lives. Having a hobby feels like a guilty luxury to many parents, and so they put it so far down on their list of priorities that it is forgotten. But when your free time is wholly unproductive – such as when you watch TV – you are teaching your children to value a sedentary lifestyle. I hereby give you permission to do something fun. Don’t allow yourself the excuse that you’re too tired. That’s the habit of laziness rearing its head. When you take up a hobby that you enjoy, whatever it might be, you will find that you’re not so tired after all. Doing something you love will give you a boost of energy. It’s up to you to break the habit of laziness and to teach your kids that life is richer, more meaningful, and more fun when you are active.